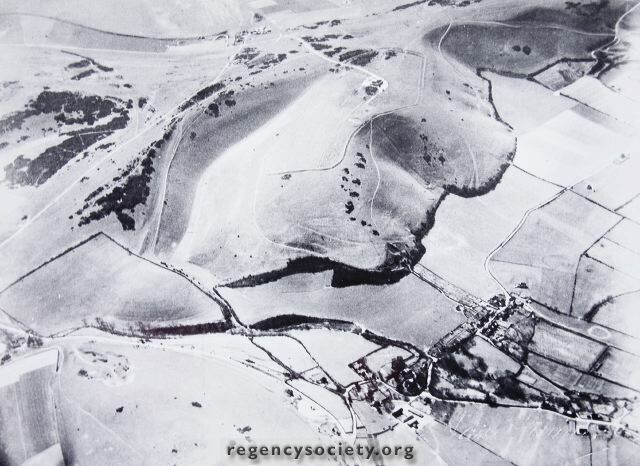 An aerial photograph, of uncertain period. From such clues as there are it looks as if it was taken just before the 1939/45 War or even possibly after it had started. The Dyke Hotel, the site of the Dyke railway Station and Poynings village are clearly seen also the lake, behind the Church, now long silted up.